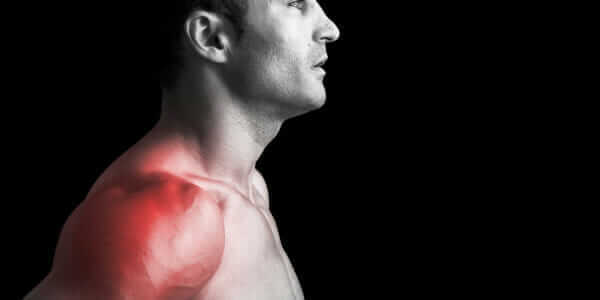 The shoulder is a very common joint to have pain. The majority of exercisers experience pain in the front or on top of the shoulder joint. This can be for a few reasons. The two major culprits are muscle imbalances and overuse injuries. What is muscle balance? Efficient movement and joint heath requires a balance of muscle length and strength around a joint. If muscles are not balanced, then the related joint is directly affected. What is an overuse injury? Simply they are the result of repetitive micro-trauma to the tendons, bones and joints. The following are three reasons you may have a muscle imbalance or have created an overuse injury. You do more push exercises (pushups, shoulder press, bench press, etc….) than pulling exercises (pullups, chin-ups, rows, etc…). Do a quick audit of your workout. How many exercises are in the push category (Chest and Shoulder related)? Now how many are in the pull category (Back related)? If you perform more push than pull exercises you are setting yourself up for a muscle imbalance at the shoulder. You play a sport (Swim, Baseball, Volleyball, Golf, etc…) that uses the shoulders at a higher volume. Overuse injuries are very common in those sports. While holding a pair of dumbbells, bend at the waist and the knees, lowering your chest while keeping your spine in a neutral position. Get into a deadlift position (lower back neutral, bent over at the waist, knees slightly bent) with the dumbbells hanging in front of your knees. Initiate the movement by shrugging your shoulders down and back while raising the dumbbells to shoulder height. Stand tall with your shoulder blades pulled down and back (as though you were trying to put your shoulder blades into your back pocket). Grab a light strength band with both hands with a grip just outside the width of your shoulders, and then pull your hands apart. Maximize the exercise by expanding the chest and pulling your hands as far back as possible. Hold for a count of 2 seconds and return to the starting position. Repeat for the programmed reps. Grab a strength band with both hands, holding it so as to make it look like an isosceles triangle (two sides of equal length). Keeping your shoulder blades in your back pocket, pull the band to first your nose, and then pull the band back over your head. Hold for a count of 2 seconds and return to the starting position. Repeat for the programmed reps.
During each phase, you use progressive overload: the gradual increasing of volume (reps and sets) from workout to workout (or week to week). Phase 1 – Perform 1 exercise per day before you hit the gym using the following rep and set schemes. Phase 2 – Perform 2 exercise per day before you hit the gym using the following rep and set schemes. Nothing is worse than having pain that affect your daily activities. Take some extra time to strengthen your weak muscles to alleviate some pain so you can get back to doing what you enjoy. Military Fitness, Sports Performance, Strength & Conditioning, Workouts back, balance, dumbbell workouts, injury prevention, Mobility, Muscle Imbalance, Overuse Injury, Shoulder Health, Shoulder Mobility, weights permalink.